Malaysia- Seiko Epson Corporation (TSE: 6724, “Epson”) has been awarded The Director-General's Prize, The Agency for Natural Resources and Energy, for Epson's LX-10000F series and LX-7000F series of high-speed linehead inkjet multifunction printers sold in the Japanese market. In Southeast Asia, the printers are known as WorkForce Enterprise WF-C20590 and WF-17590 printers. 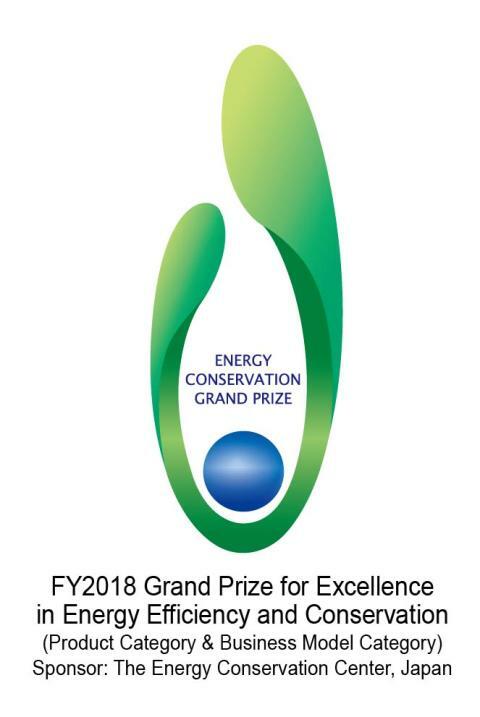 This award, which was part of the FY2018 Grand Prize for Excellence in Energy Efficiency and Conservation (Product Category & Business Model Category) awards program, was sponsored by the Energy Conservation Center, Japan, with support from the Japanese Ministry of Economy, Trade and Industry. Inkjet printers are notable for their ability to print at high speeds with minimal power consumption. The award-winning printers demonstrate superior energy efficiency, using only a fraction of the energy of typical A3 color office laser MFPs. They easily conform to the requirements of the International ENERGY STARⓇProgram*1 and their maximum power consumption is constrained, allowing them to be used even in the event of a disaster when electricity supply is limited. In addition, high-capacity ink cartridges and infrequent replacement of limited lifetime parts mean reduced maintenance and greater resource conservation. The consumables and limited lifetime parts used in these printers have to be replaced only about half*2 as often as those in a typical laser printer, based on a calculation of one million prints. The volume of waste is also about 50% lower. Epson’s stated goal is to be an indispensable company, one that is committed to openness, customer satisfaction and sustainability. We tackle customer needs, address societal challenges, and create unique environmental value through our business activities with the aim of achieving the Sustainable Development Goals (SDGs) of the United Nations and creating a better and more sustainable future. Our prizewinning products will be exhibited at ENEX 2019, an energy and environment exhibition to be held from January 30 to February 1 at Tokyo Big Sight (Tokyo International Exhibition Center). An awards ceremony for the Grand Prize for Excellence in Energy Efficiency and Conservation will be held on the first day. *1 The International ENERGY STAR Program is an international energy saving program for office equipment. It is designed to certify the top 25% of all products based on their energy efficiency, such as power used in On, Sleep, and Off modes. The LX-10000F series has a TEC value (a value that indicates typical weekly power consumption during office use) of 1.2 kWh. That of the LX-7000F series is 0.9 kWh. *2 Epson used the Buyers Lab of Keypoint Intelligence to compare the LX-10000F series and two equivalent models of color laser printers (65-70 ppm) using test pages defined in ISO/IEC 24712. Epson estimated that LX-10000F series users would print one million pages in five years, on average. * Note that Epson products and services vary by region. Please refer to your local Epson sales company for details of products and services available in your region.